The cute color changing LED unicorn bath plug is designed to add some eye-catching magic into your bath. Like the idea? Let’s keep checking. This is a well-designed and pretty cute both plug that measures 14 x 7.5 x 19cm. Similar with the ramen bowl set, the bath plug is inspired by Unicorn, a mysterious magic creature from the world of fairy tales, but compared with the perky horse-like creature, the tiny Unicorn shows off an adorable deformed body along with an iconic horn and red mane. 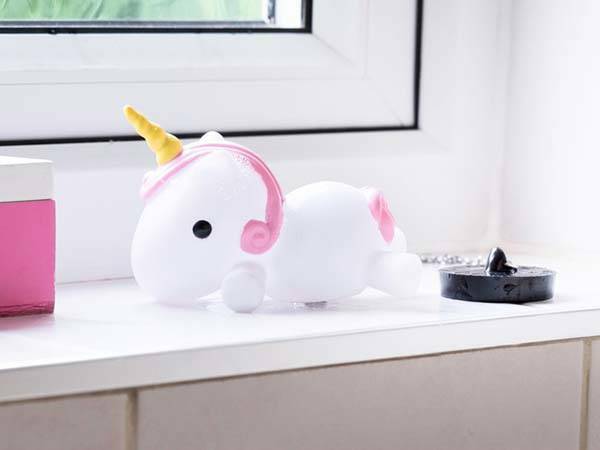 Using an included chain with a rubber plug, the miniature Unicorn helps you fill your bathtub with water. 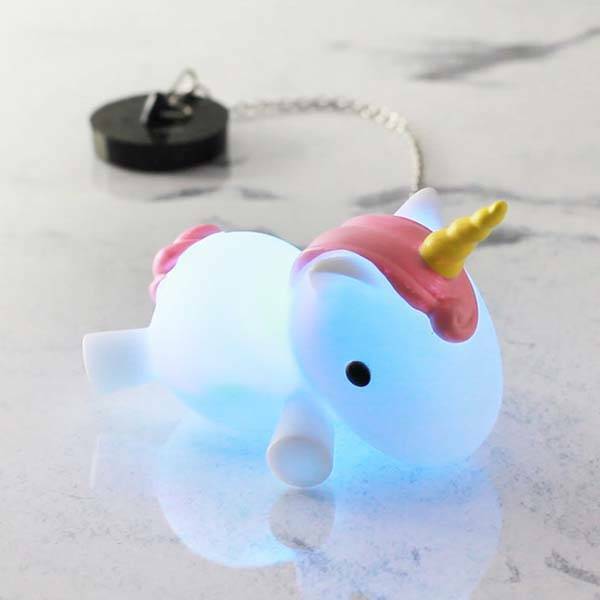 More importantly, once the belly touches the water in your bathtub, the cute miniature Unicorn will light up and deliver a charming light effect that cycles through a majestic rainbow of colors. Moreover, the mini Unicorn is powered by a replaceable standard watch battery. When not in use, it serves as a cute ornament in your bathroom. The color changing LED unicorn bath plug is priced at £9.99 (approx US$13). If you’re interested, jump to Firefox online store for its more details.